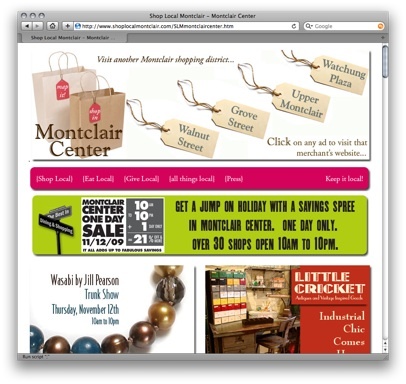 While many of you may be doing this already, here's a great video about how a merchant responded to a slower economy by creating an especially effective Web site to promote downtown shopping--an idea that translates very well to online newspapers, of course. 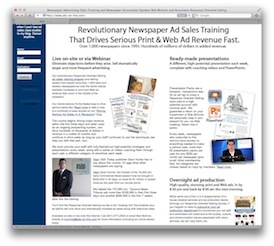 More than just selling impressions throughout a Web site, these people are grouping local advertisers together on one page and enabling readers to sign up for an e-newsletter offering deals. 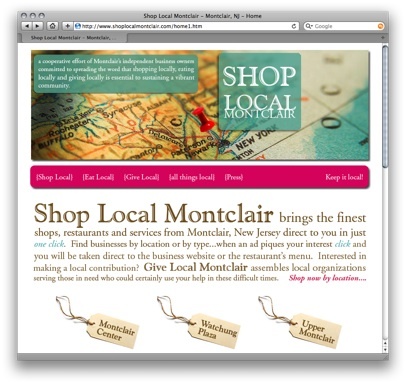 Sure, maybe your local merchants are doing this themselves already, but you can do it better. 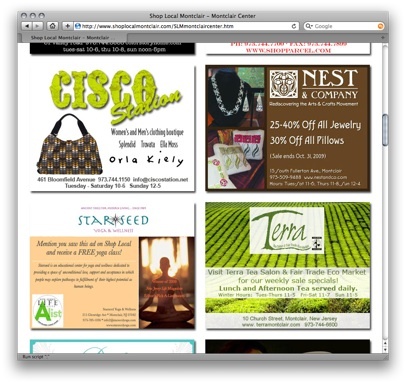 And if your designers can't handle Web ad or email blast production, our designers would be happy to help. 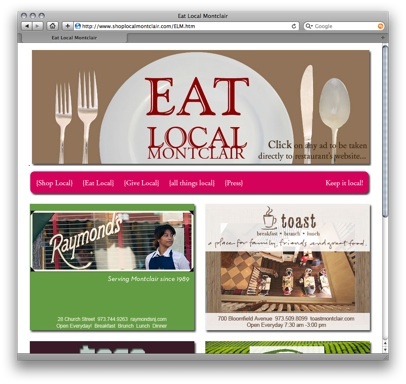 Here's the video as well as a number of screenshots of the site. 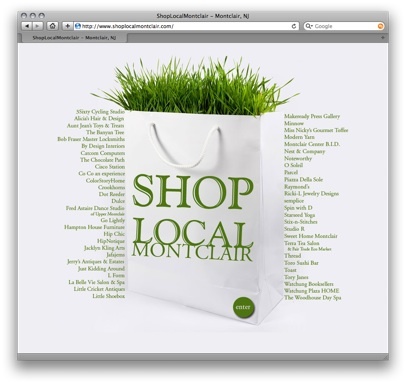 You can see the site yourself at shoplocalmontclair.com.